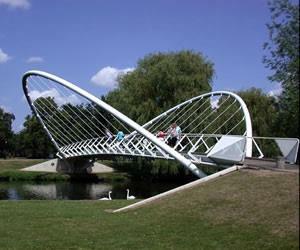 Bedford to Fenlake Meadows & Priory Park at Bedford Walking RouteA 2 mile walk which takes in some of Bedford's most attractive landscapes..
Start Point: At the Embankment opposite the Boating Lake. Start Nat GR: TL058495. A 2 mile walk which takes in some of Bedford's most attractive landscapes..
How to get there by car/parking: There is on road parking along The Embankment.